Submitted to Investment Real Estate by David Coynel, Liberty Environmental, Inc.
Here’s a common scenario to consider: you’re standing in a store, deciding which type and size of shoe to buy. Should you buy a dressy work shoe? A sporty pair of running shoes, or a casual loafer, perhaps? The decision, of course, is a function of how we plan to use them. Then, once we’ve identified what we need, we certainly can’t just blindly buy a shoe of any size. Such an uninformed purchase would more than likely leave us very disappointed – and with sore toes, no doubt. We’ve all wrestled with the uncertainty of whether or not the item that we’re buying is going to fit our needs. So we measure, think, inspect, try on and decide accordingly. It’s a type of transactional due diligence that we do every day, and it’s a generally subconscious process for the most common decisions of our day; what to eat, what to wear, what to buy. Consider when the stakes are much higher – financially, at least. Investors, developers and operators of self storage facilities face a similar set of questions about what type of due diligence process to perform as part of their decision making. These professionals are aware of the potential risks involved in acquiring an asset – be it a real asset such as land or a building, or some other type of asset such as a ground lease or operating contract. In each of these cases, the investor must understand not only what it is that they are acquiring, but also what potential pitfalls could be present in this acquisition. 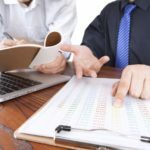 As lenders, attorneys and investors can attest, there are few services of greater value to the real estate transaction process than proper due diligence. Unique among the various forms of pre-transaction intelligence available on the market, which include appraisals and inspections, the environmental assessment process has continued to evolve and find new applicability over its 20 plus years of existence as a real estate decision-making tool. Estimates the methods – and costs – associated with remediating or attenuating these risks so that the new owner can operate the property as intended. But like the decisions we make in that shoe store, it’s just as important for real estate professionals to understand what level and type of assessment is appropriate for the transaction at hand, and particularly what is appropriate for a planned or existing self storage facility. As the methods and practices for environmental due diligence have evolved since the mid-1980s, the American Society for Testing and Materials (ASTM) Standard Practice for Phase I Environmental Site Assessments (E1527) has emerged as the most widely-implemented, industry-recognized scope of work. Particularly after 2005, with its tie-ins with federal CERCLA regulations through the landmark All Appropriate Inquiry Rule (40 CFR Part 312), the ASTM E1527 Phase I ESA has been the standard bearer for complete and proper environmental due diligence at a site. And that’s with good reason. However, as the lending landscape has matured and diversified, it’s been correctly recognized that not all sites bear the same level of risk. And not all sites – in fact, very few sites, by percentage – will ever have a realistic need for federal CERCLA protection; thankfully, self storage facilities typically fall outside of this category. In addition, as specialized lending programs such as SBA and other public programs have emerged as viable funding options in the post-recession economy, many involved in real estate transactions are finding that the environmental assessment process must be carefully weighed, and that the best choice may not always be the ASTM Phase I ESA Standard. A significant portion of projects on lenders’ desks have little to no real risk of being involved in a CERCLA matter, especially where the site can be considered low-risk property to begin with. The ASTM Transaction Screen Environmental Assessment (or TSEA) process is appropriate for such projects. The TSEA offers a scaled-down, limited scope of study in comparison to the full Phase I ESA, and consists only of a site visit, a questionnaire, historical operations review and a database review. The TSEA fits perfectly where speed and efficiency are the goals over comprehensive study and CERCLA liability protection. However, TSEAs are not appropriate for medium or high-risk sites such as gas stations, auto service or body shops, dry cleaners or any type of current or prior industrial site. 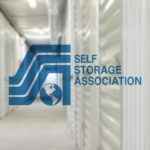 Smaller self storage facilities that were recently constructed over raw land may be appropriate sites for the limited-scale due diligence of a TSEA. However, if the property was once operated for other purposes with a higher degree of risk, a full ESA is generally recommended. The US Small Business Administration (SBA) has required environmental screenings and due diligence reviews as part of its lending process for many years. After 2009, increased regulatory scrutiny on lending practices in the recession era brought SBA lending to more widespread prominence. SBA has continued to clarify and enhance its environmental review requirements within periodic updates to its Standard Operating Procedure SOP 50 10(5), the most recent of which took effect in October 2014. SBA procedures are well-defined and divided into a multi-tiered approach to property due diligence and as such, form a good example of the concept of proper sizing and fit as applied to environmental review. The site evaluation process under SBA guidelines begins with a simple comparison of operational NAICS codes (a numerical standard for describing property operations) to determine if any level of assessment is warranted. If found to be warranted, the most basic scope of environmental assessment is the completion of an SBA-specific Environmental Questionnaire and a Records Search with Risk Assessment (RSRA), in which a qualified Environmental Professional must assign a risk rating to determine of further evaluation is necessary. A Phase I Environmental Site Assessment, consistent with the federal AAI rule (and therefore consistent with the ASTM Phase I ESA Standard) is then required for sites that have been ‘elevated’ or ‘high’ risk by the Environmental Professional. SBA guidelines automatically require full Phase I ESAs for gas stations, dry cleaners or any sites with NAICS codes included on its list of 53 environmentally sensitive operational categories. or a Finding of Significant Impact (FSI), which triggers the need for more detailed and extensive environmental impact studies, appropriate to the type of project and impacts which are predicted to occur. Understanding the appropriate level and type of environmental due diligence for your self storage project is no longer a one-size-fits-all proposition; the various lending programs and options available to investors continues to diversify and will increase the need for trusted advisors with strong knowledge of environmental matters and how they affect real estate transactions. Liberty Environmental, Inc. has deep expertise in all phases and types of environmental due diligence for self storage facility acquisition and development. For assurance that you get the best fit for your project, call one of our expert advisors at 800-305-6019 or contact them today.